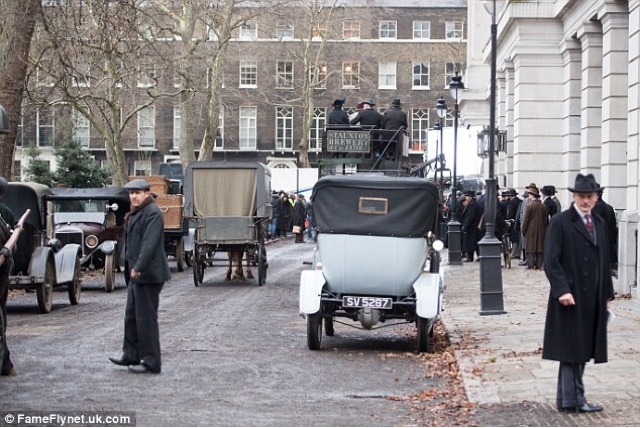 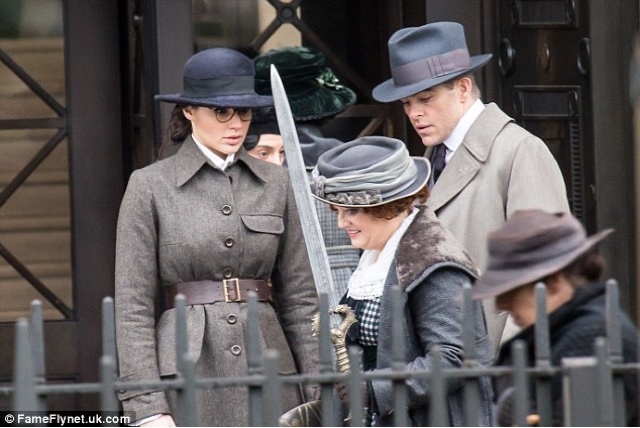 Several set photos from the upcoming DC film, Wonder Woman, were posted on DailyMail.com earlier today. 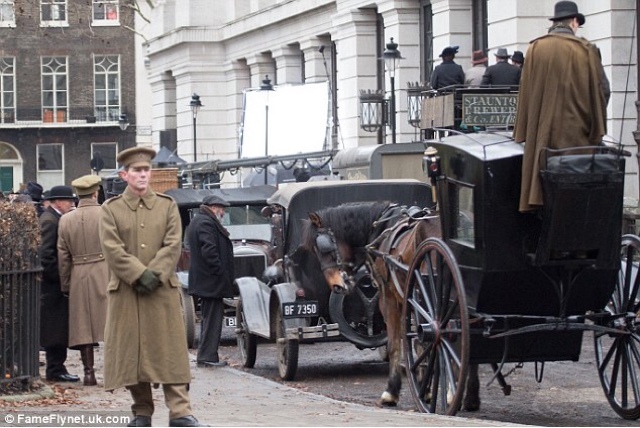 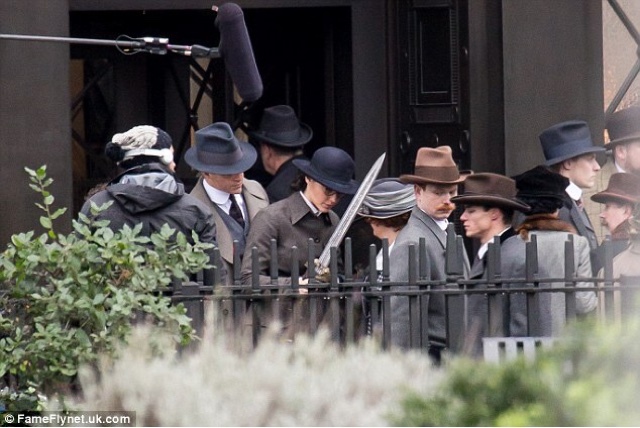 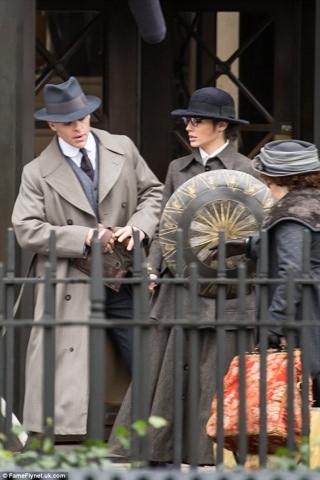 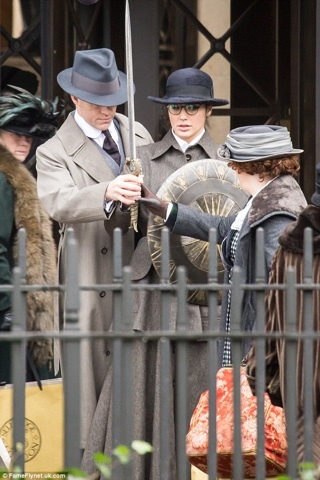 They show Gal Gadot and Chris Pine in an early 20th century setting along with Wonder Woman's sword and shield. 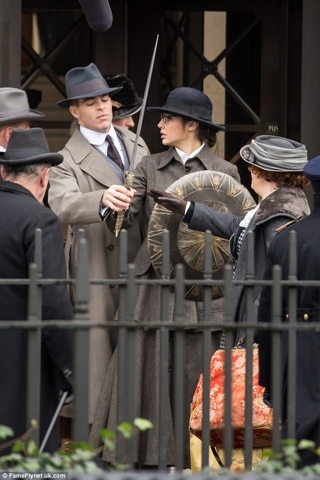 Wonder Woman stars Gal Gadot as Princess Diana/Wonder Woman and Chris Pine as Capt. 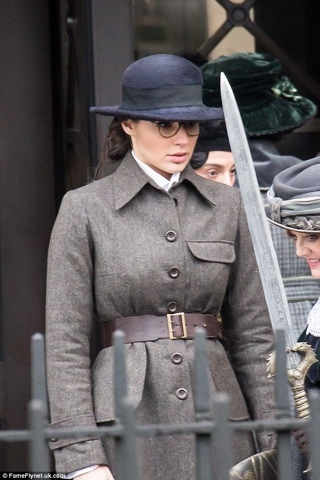 Steve Trevor. 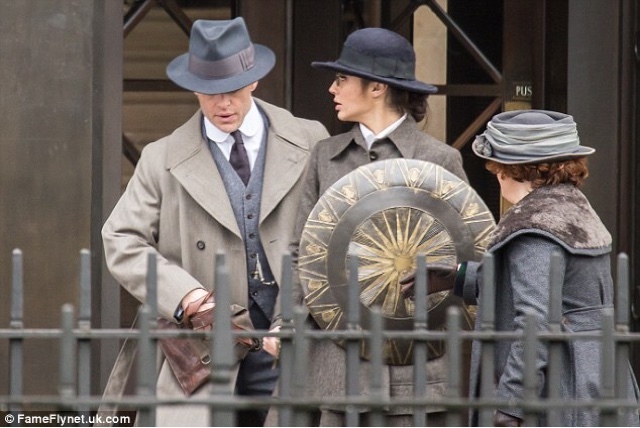 You can get your first glimpse of Wonder Woman in Batman v Superman: Dawn of Justice on March 25, 2016. 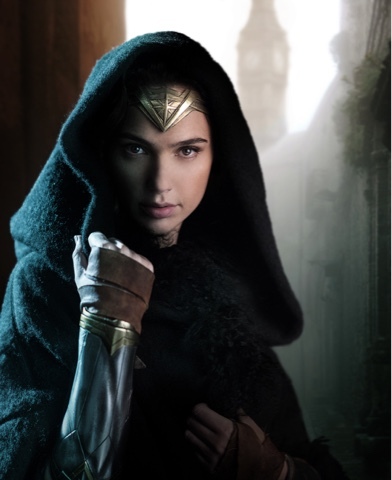 Wonder Woman is scheduled to hit theaters on June 23, 2017.